People can talk about service all they want and anyone can post a rave review on their own Las Vegas wedding chapel web site; but when it really comes down to it, you as the consumer should be the judge. 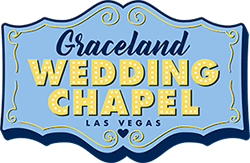 If you're at all concerned with the level of service you may receive before, during, and after your Las Vegas wedding, we encourage you to 'raise the bar' and investigate other Las Vegas wedding chapels and compare. To make this easy, we've provided a couple links to independent reviews of chapels in Las Vegas. You be the judge by typing in our name, and then the names of other chapels, and see how we measure up. Spending a few moments checking the credentials of your favorite chapels can have a huge impact on one of the most memorable days of your lives. Isn't it worth a few extra minutes? Click Here to see our listing with the TripAdvisor. Click Here to search other chapel listings in the TripAdvisor. Click Here to see our listing with the Yelp. Click Here to search other chapel listings in the Yelp. Click Here to see our listing with the Wedding Wire. Click Here to search other chapel listings in the Wedding Wire.